Although it was 12 degrees I still decided to go out early this morning. I’m glad I did because this was the first of only a few shots I took. 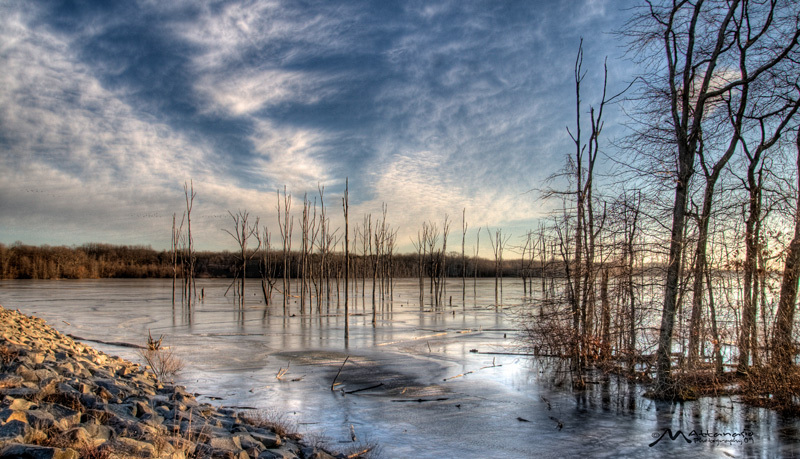 This is the Manasquan Reservoir and as far as I could see it was completely frozen over. I don’t think they allow skating but what a great place it would be to do some skating. More Ice than any Zamboni could handle.